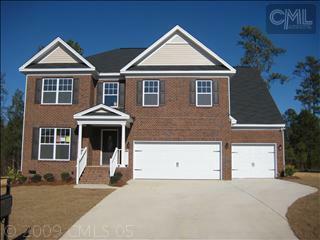 Colony Ridge is a friendly Essex Homes neighborhood located in Irmo, SC area, nearby Interstate I-26. This neighborhood boasts luxuriously appointed homes from the $180,000's to the High $220,000's, with square footage ranging from 2000-3500 square feet, and most floor plans offering 3-4 bedrooms. In Colony Ridge homes you will find tankless hot water heaters, granite countertops in the kitchen and bathrooms, and eat in kitchens. Adding to the appeal of this development are the spacious master suites with garden tubs in the private baths, and ample walk in closets. This neighborhood also offers the unique appeal of carriage style garage doors on their 2 car garages, although some floor plans offer a 3 car garage. Many homes in Colony Ridge also offer formal dining rooms. In this neighborly development you will find an active homeowners association, and the convienience of being nearby Columbiana Mall for shopping, and the Harbison area where you will find many excellent restaurants and other conveniences. Lake Murray is also just a few minutes away offering boating, fishing and all types of water recreation. Colony Ridge is zoned for the excellent Lexington Richland 5 schools of Ballentine Elementary, Dutch Fork Middle School and Dutch Fork High School. Colony Ridge is an excellent place to find your next home.